Set amongst native New Zealand bush in the heart of the North Island, the iconic Waitomo Glowworm Caves are the ideal location for all your business and event needs. Specialising in corporate meetings, events, team building exercises and incentive experiences – Waitomo is the perfect destination for a successful and memorable event . Mezzanine Conference Space This open space under the iconic roof canopy can seat up to 80 people and is perfect for a break-out area. The space can be tailored for your meeting or event needs with its high ceiling and open space. This area can also be utilised for evening events and has a beautiful view looking out at the architecture of the Visitor Centre. Please note, that although we can provide outdoor heaters, this space is not enclosed and it may be cooler in winter. Aranui Room The Aranui Room can cater to a variety of seating styles for up to 12 people within an enclosed, private space. Our all-inclusive Day Delegate Package (available when booking your event) includes: pens/pads, whiteboard, flip chart, data projector, room hire, morning tea, working lunch, afternoon tea, mints and a polycom phone. Perfect for a morning conference before venturing into the Waitomo Glowworm Caves for some team building activities in the afternoon. Evening Events We have two stunning locations in Waitomo available for evening events and functions. Both serve up delicious catering and offer a different unique experience, depending on your event. 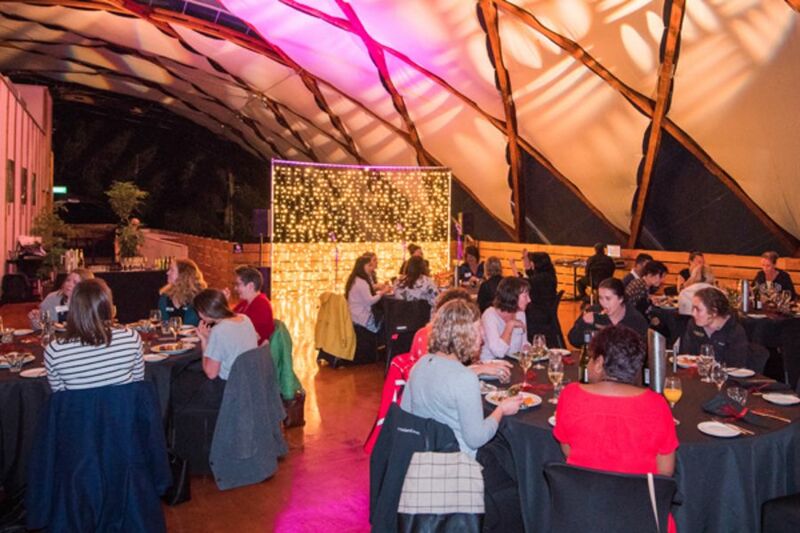 The Waitomo Glowworm Caves Visitor Centre can cater for up to 80 seated guests in the evenings, under a canopy of forest and stars, with the restaurant serving up delicious seated meals or canapés depending on the style of the event. The Waitomo Homestead can hold up to 700 guests with onsite catering and conference facilities. There is room at both locations for a live band and entertainment. Exclusive tours through the Waitomo Glowworm Caves are available for bookings made in advance.